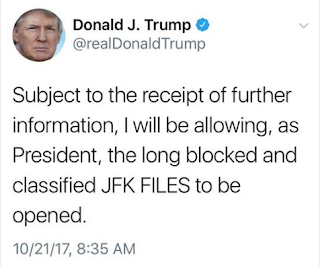 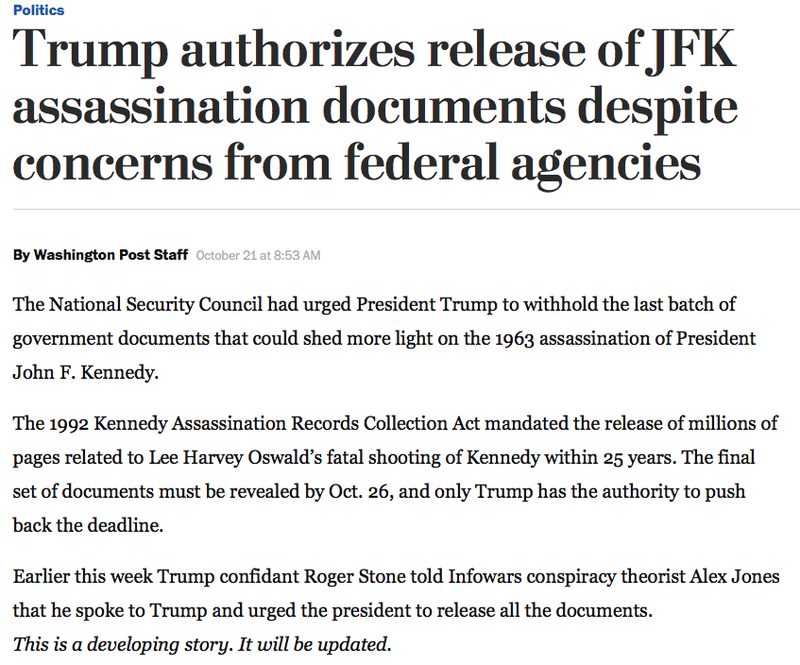 Also see - "Trump Authorizes Release of JFK Assassination Documents despite concerns from federal agencies." 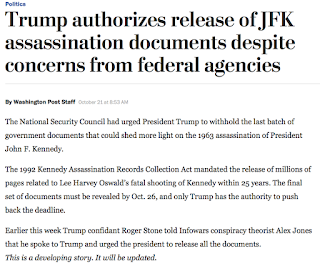 And look who gets quoted Roger Stone. 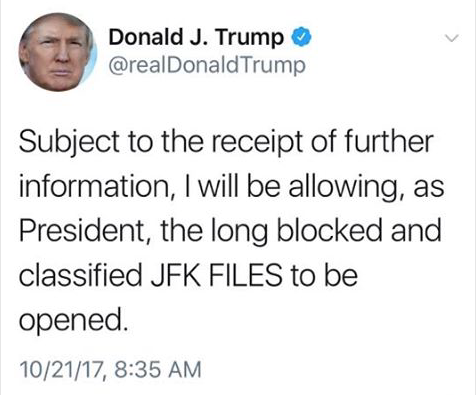 He'll build a fence just so he can straddle both sides of one.